The problem was that the CD jukebox kept breaking down and the parts were no longer available to replace them. The management considered using a CD player in order to keep playing the music that the locals were used to. That way they wouldn’t lose any of the traditional character of the pub, which was important to them. After contacting Hire Jukebox and explaining the situation, we listened and understood that it was clear the pub didn’t want to lose what they already had. 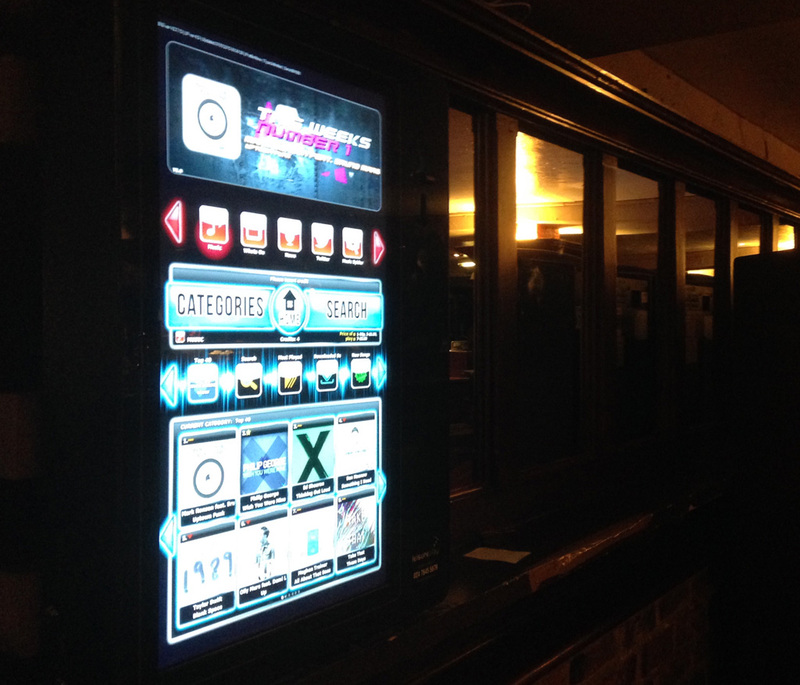 We recommended the Venuehub jukebox. Working together with Bar 32 and the music provider, we were able to put their much beloved CD collection on to the new digital jukebox! Not only this but we were able to provide a number of music choices that they had wanted previously, but were unable to obtain. All at no extra cost! The biggest surprise was how customers of the bar took to the new jukebox as though it had always been there. As before, the top played tracks were still played, but now they also had access to an online music library with thousands of tracks including many from their favourite Irish artists that they didn’t previously have. Within days customers young and old were downloading tracks. The bar owner loved the jukebox and set up his own Twitter feed that was displayed on the jukebox. The staff uploaded photographs of customers and bar staff from over the years so customers could browse through the photo albums right from the easy-to-use interface of the digital jukebox. Perhaps the biggest surprise was that everyone loved the addition of soundjack. A free app that allows the customer to pick and play music on the jukebox from their smartphone. Simple to use, the jukebox app allows you to search the songs on the jukebox without leaving the comfort of your chair. Customers buy credit via PayPal, debit card or can add it to their mobile phone bill. We then share the profits with the venue. soundjack increased the revenue of the jukebox by over 30%.